This page contains links to all sorts of information regarding to dogs. Also clubs, organizations, training & boarding facilities. Are you looking for a puppy socialization class/play group? 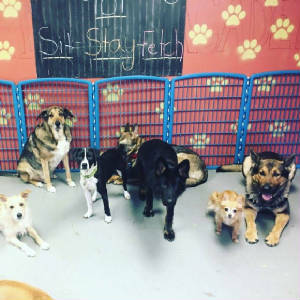 Emmi's K9 Academy in Rowley is offering puppy social/play groups and training on Mondays, Wednesdays & Fridays from 5-6:30 pm. And also on Saturdays from 11 am-1:00. Call Erica for more info and cost 978-886-3279. The Compatible Canine Center in Brookline, Ma. K9 Top Performance in N. Reading, Ma. Dog friendly places to walk. Go places with your dog! For Dog Travel Guides click here. Find pet friendly Bed & Breakfast Inns here. If you would like more info on Schutzhund seminars, click on the DVG America link above. Check these upcoming events out! New England regional IPO Championship 9/28/12-9/30/12 Old Orchard Beach, ME. New England Equine Rescue...Help a Horse in need! Need T-shirts or sweatshirts made up for your business? Call Big Fish Silk Screen located in Ipswich, Ma. I highly reccomend them, they did a wonderful job on my NordOsten Tee's & sweatshirts! Call Kathy at 978-852-2861 or Rick at 617-797-7027. Here is a litte history for your reading. 1945, After World War II the "black market" was running wild throughout Eastern Europe. Poland and Czechoslovakia had a very profitable system of importing and exporting through the black market. The border of the country was closed so to be able to import or export without paying taxes the people must take the long journey over the mountains. When police discovered how the smugglers were getting through, it was up to the dogs to literally hunt the people. Horses were and still are a great commodity in Slovakia. They were brought over from Poland and traded for sugar, chocolate and coffee. 1948, "Znarodenie" This is the day that the government took all businesses away from citizens. This was a tragic day for all; for our friend's the Mravik's it was completely devastating. The newest technology and the most advanced in furniture manufacturing was a very profitable company in Zlate Moravce, Slovakia owned by Josef Mravik. On Wednesday, July 1, 1948, Mr. Mravik was a rich, successful entrepreneur. On Thursday, July 2, 1948 he was poverty stricken with 2 children and cast out on the street. The police came to his factory with the dogs and confiscated the entire property. 1955, Communist money exchange. All people can make the same amount of money. In these 7 years Mr. Mravik had built up his furniture business in Bratislava. Again- Everything was taken from him but in a different way. He had $46,000 SK in the bank. On Monday, February 3, he had $1000 SK. The government decided that no one could have any more than anyone else. Work was 8 to 4 and only 1 job is allowed. No one could work after 4 or a 2nd job to make more money. This is when the private citizens started working dogs as a hobby to occupy time. In the 1960's a Government organization was formed named Zvazarm. They began to see the value to the country of private citizens training working dogs. This originally was formed to promote working dog breeds and financially support clubs who trained the dogs. Sounds nice but here's the catch, if war broke out, your dog that you trained was taken by soldiers to be used in the war. No exceptions. All dogs actually belonged to the government. I can not imagine anything more painful than to watch my sweet Bruna drug away from me by a soldier to be used as a weapon for a country who had done me no favors. But, if I was a young man going to war - I would be taking my dog with me. Personally, I would rather leave my dog at home in the bed and take someone else's dog.! The dogs were heavy, strong boned and had huge heads. They were slower but powerful. Obedience was a necessary evil. The dogs never looked at the handler with dancing footsteps. They did obedience because they had to but they were always watching for a bad guy. For so many generations in the Eastern Block the dogs were made for war. There was no other motivation. The dogs must function on their own. They had to be able to work independently of the handler. They were expected to think for themselves in many situations. They were titled out in the forest, not in a stadium. The ZVV/SVV title is a "real-life" situation title. Until 1989 there were no separate show and working lines. All German Shepherd Dogs were working dogs. When the border opened the German influence began and the breed began to be separated. The traits that the Eastern block needed in the dog was considered stubborn or too independent and the West German dogs were considered nervous or needy. The East German (DDR) dogs and Czech dogs were interbred successfully because they were breeding for the same characteristics. 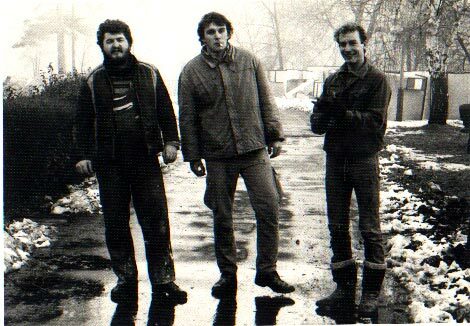 Prior to 1989 the show line dog did not exist in Cechkoslovakia. There was one GSD and they worked or they were not bred. The dogs still were required to get a show rating and a black or sable dog could win just as easily as a black and tan dog. Tremendous emphasis was/is put on the tracking ability of the dog. The dogs were used in rugged conditions in the snow and ice to find criminals hiding in the mountains. The dogs and handlers were out for days at a time tracking the smugglers. Dogs were not sold. Their work was essential to the survival and economy of the country. The dogs were not social to people outside their family unit. We must realize as people from North America that the social structure of a communist country is completely different than what we are familiar with. Lawsuits do not exist. If a dog bit someone, that person had no recourse to sue the individual who had the dog because they were owned by the government and the government cannot be sued. The dogs were always right and the bitten person just had tough luck! So the dogs were treated with tremendous respect. North American Police dogs typically need to be openly social because of the demands put on the officers by our society. Many old school breeders believe that this is leading to the demise of the true Police and Border Patrol dogs. Because North Americans will only purchase the social dogs for police work the old style tough Police dogs are not being used for breeding as much. It is all economics. So much of the old blood that made up the border patrol dogs has vanished. Hathorne Construction Co. is an excavation company specializing in new septic systems & repairs. They do all aspects of excavation work such as digging for new foundations, water services, drainage systems, underground utilities, site work, grading, hauling, etc... Free estimates, quality work. Doing business on the North Shore for 25+ years. Call 978-948-7872 or visit www.hathorneconstruction.co. Early Spay & Neuter info...Please read! Looking for an all natural safe insect control product? CedarCide is the answer! This product is safe for pets and people and will kill or repel most annoying insects such as ticks, fleas, mosquitos, flies, chiggers and more. Click on the logo below for more info. NordOsten Kennel uses Cedarcide products for insect control. Diatomaceous Earth (food grade) is a simple mineral....Silica. Diatomaceous Earth kills insects by physical action, not chemical. How it works; hundreds of the microscopic DE get all over the insects body, scratching away their waxy coating causing dehydration, then they die. DE particles are so small, they will not harm people & pets. DE is a natural product, when rubbed into your pets coat or dusted in your pets area/bedding, DE is affective against lice, mites, fleas & ticks. DE is also used as an organic wormer. It will kill any worms or parasites your pet may have. Just mix the recommended amount in your pets food daily. There are also many household & garden uses for DE. Click on the link above to find out more info and to order. NordOsten Kennel uses it as part of their feed program. Click on Dog Food Advisor link to check the quality of your dog food and to learn about recalls. Check out these cool wall stickers! Help to develop genetic screens, diagnostic tests, and treatments for hereditary canine cancers as well as gain insight into the biology of human disease. Are we over vaccinating our dogs? Get out there and have some fun with your dog! Have some fun in your own back yard and build confidence too! Click on the affordable agility link below. Articles & information written by veteranarians about pet health care.